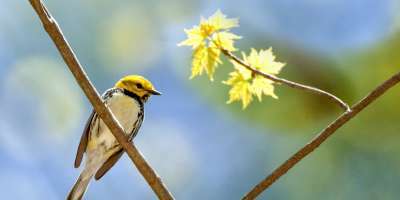 8 Places to Spot Native Bird Species | Asheville, N.C. Whether you’re a casual bird watcher or you’re collecting sightings for your Life List, this is a birder’s paradise. Bald Eagles, Peregrine Falcons, Great Blue Herons, and Pileated Woodpeckers are just a few of the 200 birds that make their home here year-round, while another 80 species migrate through the Southern Appalachian mountains every year. The Elisha Mitchell Audubon Society acquired 8 acres of wetland on Merrimon Avenue in North Asheville to protect it from commercial development in 1988. Today, the Beaver Lake Bird Sanctuary is a haven for birds, butterflies and dragonflies. Easy walks to viewing spots are held regularly on the first Saturday of each month at 8 a.m. from April to September, and 9 a.m. from October to March. Take Merrimon Avenue north from downtown for 2-1/2 miles. The Sanctuary parking area is on the left. Having trouble viewing on mobile? Click here to see the Google Street View version. This 70-foot waterfall in the Big Ivy section of the Pisgah National Forest is a 7-mile out-and-back trail through the woods. Elevations range from 2,200 feet to more than 5,000 feet, with spruce-fir zones that are home to the Red-breasted Nuthatch. Other species include the Golden-crowned Kinglet, Pileated and Hairy woodpeckers, and Dark-eyed Junco. Take I-26 west from Asheville to Exit 15 and turn right on Highway 197. Go 6 miles to Barnardsville and turn right on Dillingham Road. When you come to a “T,” turn left and continue to the Douglas Falls parking area. Peregrine Falcons love to roost on cliffs and that is exactly what you&apos;ll find in the Hickory Nut Gorge where Chimney Rock Park is located. The walls of this canyon rise 1,000 feet above the valley floor, providing the perfect hunting and breeding grounds for one of the fastest creatures in the world. Chimney Rock Park is also one of the best spots in the Southern Appalachians to sight rare warbler species, including Swainson&apos;s and Cerulean. Take I-240 east to Highway 74-A East, also known as the Charlotte Highway. After 20 miles on Highway 74-A, you will pass through the Hickory Nut Gorge to reach Chimney Rock Park on the right. Many birds take advantage of the shortcut Craven Gap provides between two valleys, making it an excellent location for bird watching. Craven Gap is located at Blue Ridge Parkway milepost 377.4, where it intersects with Town Mountain Road, providing easy access to downtown Asheville. There is also a trailhead with access to the Mountains-to-Sea Trail. Max Patch Road climbs through varied terrain from 1,900 feet to 4,629 feet at Max Patch Bald. The old fields and pastures, mixed forests and farmland attract neo-tropical migrant species, including Golden-winged Warblers and Least Flycatchers. Take I-40 west to Exit 7 and turn right on Cold Springs Creek Road. Follow this road for 6.2 miles to Max Patch Road and turn left. The Max Patch parking area is on the right after 1.5 miles. Mount Mitchell, the highest peak east of the Mississippi River, is just a short drive from Asheville. You will find breathtaking 360-degree panoramic views from the summit, as well as hiking trails ranging from easy to difficult. The alpine spruce-fir forests provide a unique habitat for close to 100 species of birds, including the Red Crossbill, Golden-crowned Kinglet and Ruffed Grouse. 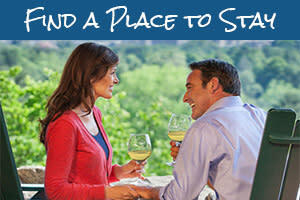 Take the Blue Ridge Parkway north from Asheville to milepost 355.4. Turn left on Highway 128 to access Mount Mitchell. 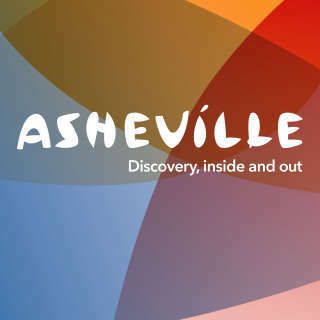 From high atop Mount Pisgah, you can see the city of Asheville, Cold Mountain and vast expanses of Western North Carolina’s beautiful mountains. You might also recognize the Northern Saw-whet Owl or Alder Flycatcher. 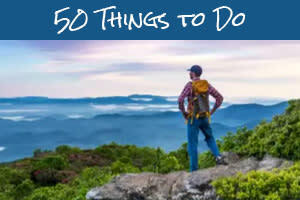 Take the Blue Ridge Parkway south from Asheville to milepost 408.6, where you will find parking lots for Mount Pisgah. With easy access to the Blue Ridge Parkway at Milepost 393 and some of the most diverse forestland in the East, the North Carolina Arboretum attracts plenty of visitors of the winged variety. It won&apos;t be difficult to spot the vibrant scarlet of North Carolina&apos;s state bird, the Cardinal, but you&apos;ll need patience to spy the elusive Hooded Warbler or Red-eyed Vireo amongst the lush foliage of Bent Creek. Take I-26 east to Exit 33 and turn left onto Highway 191, going south. The North Carolina Arboretum is on the right after 2.4 miles.